I began my Christian journey as a Southern Baptist. During my last year of college I considered becoming a Roman Catholic. I spent several years during my 20s as part of a nondenominational charismatic church. Eventually I found my way to The Episcopal Church and was confirmed on June 4, 1989, by Bishop Frank Cerveny. 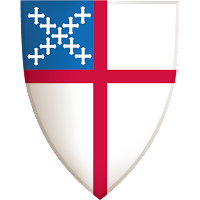 I'm currently a member of St. Thomas' Episcopal Church in Bath, New York.